Most external competitions are run by the LTA - follow this link to search for a competition in your area that suits your level. 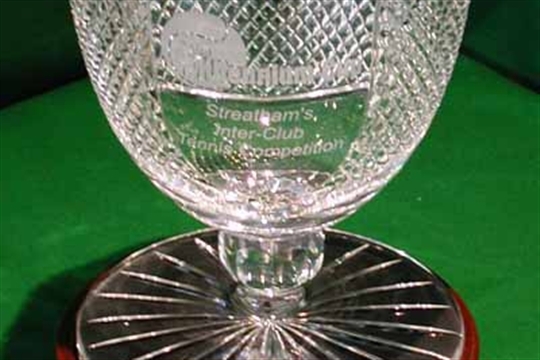 We also take part in the annual Millennium Cup Competition - 5 local clubs battle it out to take home the beautiful glass trophy. The competition is aimed at players who don't have a great deal of matchplay experience but would like to play competitively in a relaxed environment. There are 9 categories to play in, so something for everyone! This year, Mark Rothwell is our team captain and Juliet handles the administration and organisation of the fixtures.